Lixit Corporation is the largest small animal watering device manufacturer in the world. 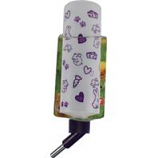 Lixit also manufactures small animal feeding devices and animal care accessories. Lixit Corporation offers services in metal fabrication, injection molding, blow molding, silk screening, metal finishing, rubber molding, tool and die design, and engineering and product design. 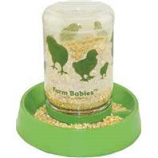 Feeder or waterer for young chicks and other baby birds. Narrow water trough keeps chicks safe. Assembled in usa. . .
Tough polyethylene resists heat cold algae sun and breakage value leader for indoor and outdoors cages. Floating turtle refill indicator included. Ideal size for guinea pigs. . .